With apologies to comedian Rodney Dangerfield’s famous line about hockey games, that seems like an apt characterization of the two debates this week between Democratic gubernatorial candidate Andrew Gillum and Republican nominee Ron DeSantis. The fighting began Sunday night with a debate on CNN and concluded Wednesday evening with a televised debate at Broward College. If they watched, Floridians witnessed no-holds-barred exchanges, where character attacks obscured debate over the stark policy differences between the two candidates. DeSantis slammed the ethics and honesty of Gillum, questioning whether he has been telling the truth about his role in an ongoing FBI investigation in Tallahassee, where Gillum is Mayor. 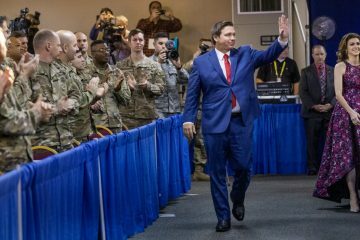 DeSantis’ allegations have been bolstered by the release of documents related to a state ethics investigation. The documents raise questions about how Gillum paid for a pricy ticket to the hit musical “Hamilton” and a Costa Rica vacation. Gillum, seeking to be the first African-American governor in Florida, hammered DeSantis over his association with people who have been called racists and for DeSantis’ comment that Gillum would “monkey this up” — referring to the state’s success under outgoing Gov. Rick Scott — if elected. While the back-and-forth drew headlines, the vitriolic debates may not have much impact on the outcome of the election for several reasons. One is that most voters have made up their minds about the two candidates seeking to succeed Scott. A Quinnipiac University poll released this week showed only 2 percent of the voters were undecided and only 4 percent said they might change their minds. That could be expected in what is viewed as a “base” election with both candidates targeting and trying to energize their most loyal supporters. A second factor likely to diminish volatility in the final days of the campaign is that many Floridians have already cast ballots or will do so before Election Day Nov. 6. As of Friday, more than 2 million of the 13.3 million registered voters had already cast their votes, either through mail-in ballots or at early-voting sites. Gillum and DeSantis shredded each other Sunday night during their first debate, which was hosted in Tampa by CNN’s Jake Tapper. Gillum, who is backed by prominent progressives across the country, and DeSantis, a former congressman whose pedigree boasts of a Harvard law degree and a stint as a Navy attorney, couldn’t be farther apart on the political spectrum, or on their stances on issues. They sniped throughout the debate about the environment, health care, and, of course, President Donald Trump, whose support helped boost DeSantis to a GOP primary victory in August. Tapper asked about DeSantis’ opposition to a sweeping state law, passed after the Feb. 14 mass shooting at Marjory Stoneman Douglas High School in Broward County. The law raised the minimum age from 18 to 21 to purchase all guns and banned the sale of “bump stocks,” devices that can be placed on semi-automatic firearms to make them fire more rapidly. But DeSantis countered by raising the issue of Tallahassee’s crime rate, a point he hammered throughout the match-up. “His record as mayor is one presiding over a city that’s out of control in terms of crime,” DeSantis said, citing a report that found Tallahassee had a historically high murder rate last year. “All right, well, Ron is being Don. And that’s Donald Trump, neglecting all sense of reason and facts,” Gillum retorted, insisting that Tallahassee is experiencing a five-year low in crime. Tapper also raised the specter of racism, asking DeSantis about a donor “who called Obama the N-word” and about the phrase “monkey this up,” which DeSantis said the day after the Aug. 28 primary. DeSantis pointed to his past work as a prosecutor and said the race of victims was irrelevant. “Floridians can know that I’ll be a governor for all Floridians. 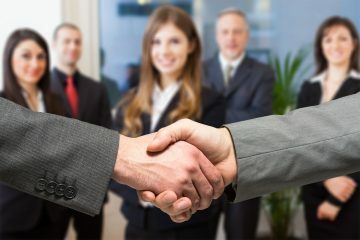 If we disagree tomorrow, maybe two weeks later we’ll find some common ground,” he said. But Gillum pushed back, saying DeSantis “let us know exactly where he was going to take this race the day after the election” with the “monkey up” comment. “The truth is I’m black. I’ve been black all my life. 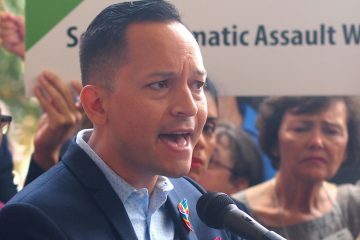 So far as I know I will die black,” he said, adding that “the only color people care about is the blue-green algae” and red tide contaminating Florida waterways. The second debate at Broward College followed with plenty of hostile exchanges between the candidates. During one of the most explosive moments, DeSantis, who was on the attack throughout the night, lost his cool after being questioned by moderator Todd McDermott of WPBF-TV about the former congressman’s affiliation with conservative author David Horowitz. “Are you going to play the McCarthy-ite game?” DeSantis interrupted McDermott. 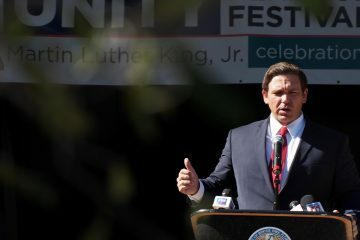 DeSantis reiterated that, as a prosecutor, he “stood up for victims of every race, color and creed” and will “represent all the people” as governor. “Everyone will get a fair shake. But I’m not going to bow down to the altar of political correctness. I’m not going to let the media smear me,” he angrily continued. DeSantis repeatedly hammered Gillum about the recently released documents the Republican contends demonstrate that Gillum lied about who footed the bill for tickets to see “Hamilton” two years ago during a trip to New York. “Andrew was getting things he shouldn’t have gotten, and they got a $2 million contract from the city of Tallahassee. That is what corruption is. When you get something you shouldn’t have had, and you give something to people who were trying to influence you. That is wrong, and he has not told the truth about any of that,” DeSantis said. The documents were released to the public this week by Chris Kise, a lawyer representing Adam Corey, a Tallahassee lobbyist and entrepreneur at the heart of a federal corruption probe involving the city of Tallahassee. Corey and Gillum were longtime friends whose global travels were part of the 150 pages of texts, emails and other documents released by Kise. Gillum has steadfastly maintained he is innocent of any wrongdoing and has publicly severed ties with Corey. The documents show that Corey told Gillum the Hamilton tickets were provided by “Mike Miller,” an undercover FBI agent who also arranged a boat cruise for Corey, Gillum, and the Mayor’s brother, Marcus. Gillum has said he received the ticket for the show from his brother, and that the Broadway tickets were swapped for a Jay-Z show. “The problem I have is that I should have asked more questions … to ensure that everything was aboveboard,” Gillum said Wednesday night. 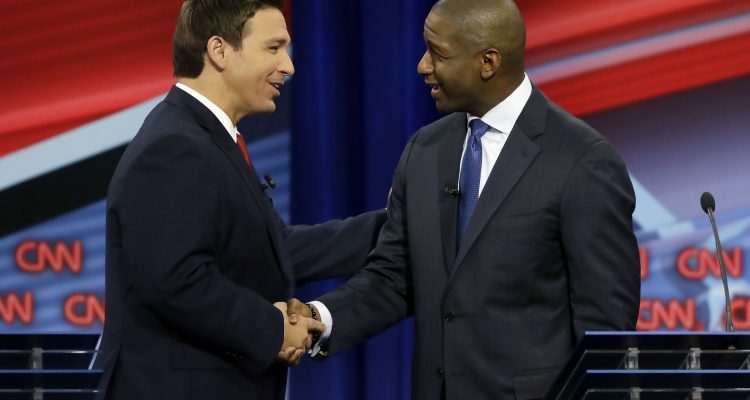 STORY OF THE WEEK: Republican Ron DeSantis and Democrat Andrew Gillum spent nearly an hour Wednesday ripping each other apart on charges of corruption and racism in their final gubernatorial debate. QUOTE OF THE WEEK: “Now, I’m not calling Mr. DeSantis a racist. I’m simply saying the racists believe he’s a racist.” — Democratic gubernatorial candidate Andrew Gillum during the Wednesday debate at Broward College.